Enroll in my 5 Day Media Magnet Program to learn the fundamentals of persuasive pitching. We'll give you the goods to help you grow your business using the media to help create insane demand for your brand! 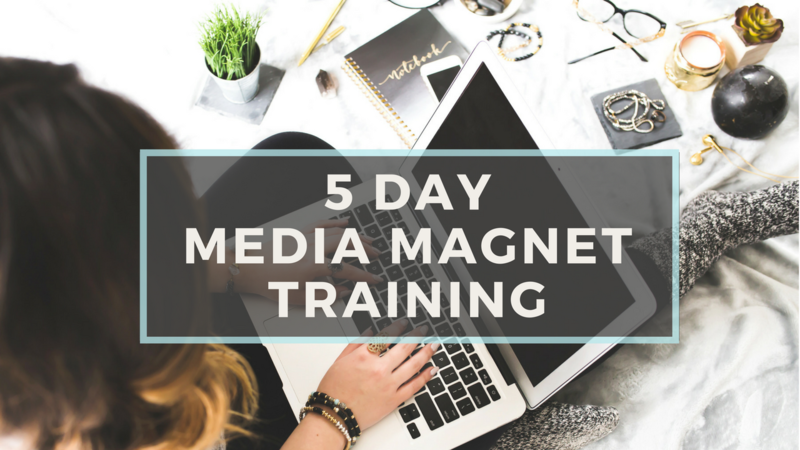 Enroll in this 5 Day Media Magnet program to learn the fundamentals of telling your best story. We'll give you the goods to help you grow your business using the media to help create insane demand for your brand! If you purchase this program and choose to upgrade to a monthly membership or the Press Success Signature Course, we will apply $97 to your next product.